Love Strawberries? 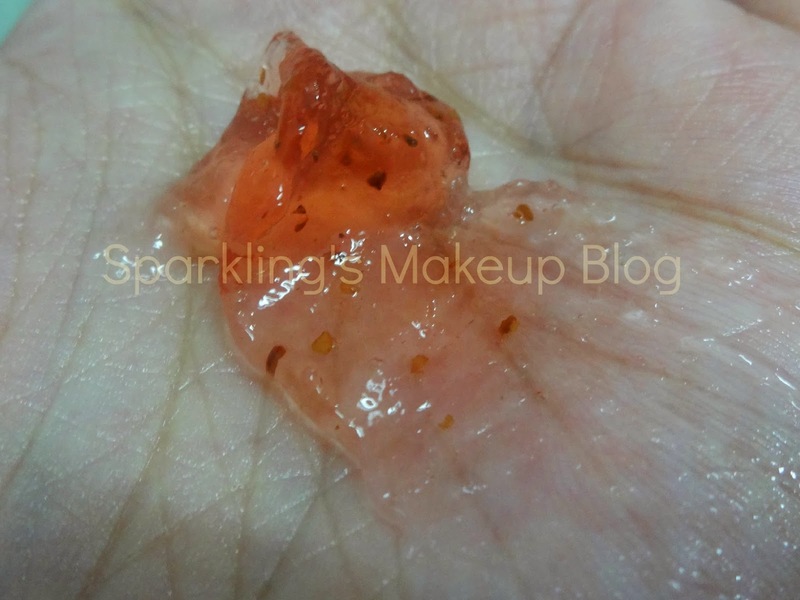 Then Lassie'el Juicy Strawberry is going to be a treat for your skin. To Reveal More Read More!!! and fruitful nutrients as of homemade mask pack. minimize pore size and exfoliation. The packaging is cool. In one pack we get three plastic, squeezable bottle shaped tubes. These bottles are transparent to show the colourful content. Each tube can be detached for use. Every bottle has its own inbuilt easy lock system, shown in the picture below, which help to seal the opening after every use, so the product may not leak or be wasted. Each tube consists 25g of product, which is good for 3-4 times usage. First of all its a very beautiful product, gel type, with pure strawberry redish pink colour, and strawberry seeds it looks very healthy. It doesn't smell like fresh strawberries at all, as it may be expected. It has a mild somewhat like old/rotten strawberries fragrance, so it doesn't smell yummy at all and wont make you eat it... lolz. The best part is its not very strong or overpowering smell, I am not bothered at all, but only wish it made me eat it. The usage and result is quite awesome. I apply it after cleansing, with a little massage, then leave it for required time, it doesn't dry or make a thin film, it stays like jelly/gel then I wash it off, with circular massage movements. I can feel my skin exfoliated, smooth, fresh and yes I can observe the pores to be tightened a bit. 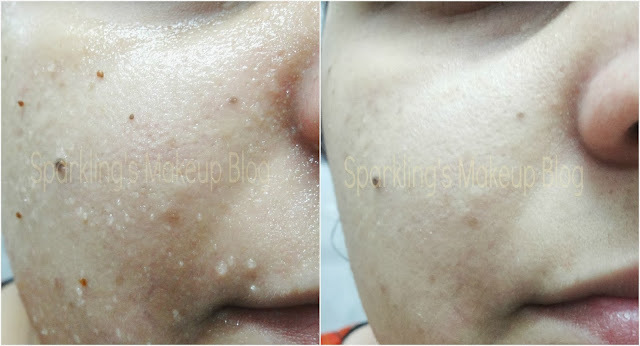 Although the pore tightening effects doesn't stay for long, but the pores are cleansed and skin is purified. It doesn't dry the skin rather hydrates it without adding any oils or residues. I feel fresh. I apply my OST Vitamin C serum, reviewed here, after it, moisturize normally and my skin is behaving good in Winters:) What else one needs? Do try it, its worth it! It has a variant in "Kiwi". Mask with scrubbing seeds. Natural! 4.5/5. Do try this for a glowing skin. 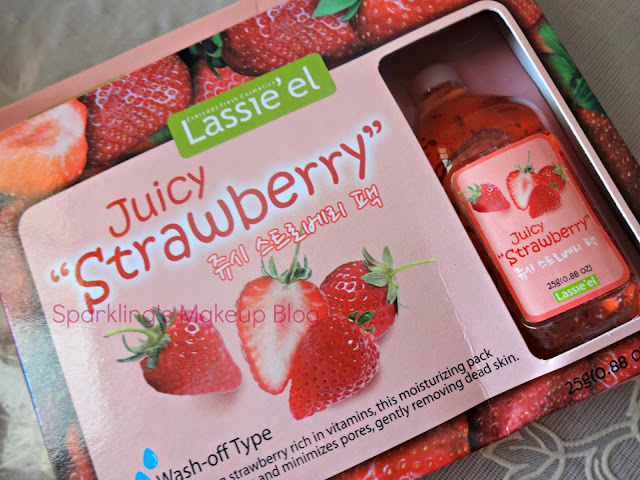 Lassie'el Juicy Strawberry is available for USD 9.99 at Wish Trend, check it on there website. They ship worldwide. Hope you like this review of Juicy Strawberry. Do share your views, comment, share, like, tweet, G+ and Pin IT. Do read other Sparkling Posts on Wish Trend. Do read other Sparkling Posts on Facial Mask. NOTE: This Post may contain a PR post/product, my review and opinion is 100% honest with my readers. For SMB Policy Click HERE. wow it looks yummy.I love fruity products.Thanks for sharing. All natural ingredients is Such an attractive feature.